Today, many young athletes put a lot of pressure on themselves to do well in sports. This causes them to overtrain and cause injury to themselves. It can lead to physical burnout as well as a mental burnout for the youth athlete. While it is sometimes the kids themselves that are pushing their bodies too hard and injuring themselves, many times, adults contribute to youth sports burnout. It could be coaches, parents, administrators of the league, older siblings, or others who are putting undue pressure on the children to excel at a sport. This pressure often comes with additional training, which younger bodies are not generally equipped to handle. Naturally, this leads to injury. Why the Big Push Toward Youth Sports? 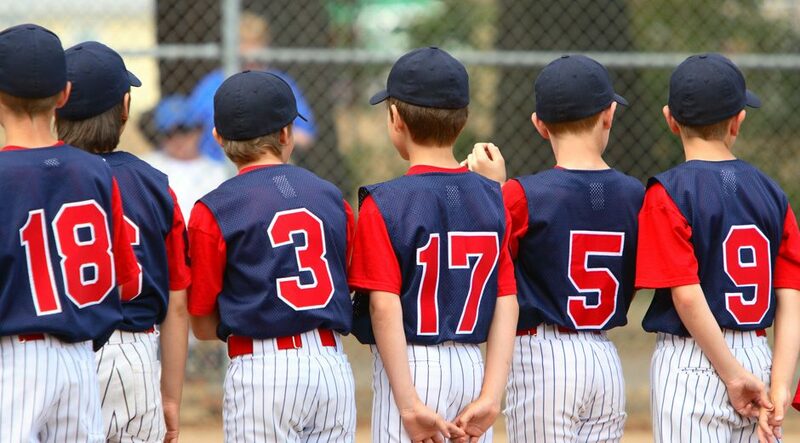 Many adults today are making money off children playing youth sports. Therefore, there is something of an incentive for those adults to pressure children into playing and excelling at sports. They may tell them that they can earn scholarships to get into college and that playing better and training harder could be their ticket to becoming a professional athlete. While instilling good work ethics in children can be important, pushing children too hard at sports can be very dangerous. Studies have shown that children who specialize in a single sport while growing up do not have a better chance of earning a college athletic scholarship. They do not have a better chance of getting into professional sports, either. In addition, overtraining and overusing their body can cause them to develop injuries that last them a lifetime. It can also cause emotional burnout, which means the child will no longer enjoy the sport at all. Parents should not make their child believe that sports are the only way they will ever amount to anything. It is important to provide the child with the confidence they need to succeed in academics and other aspects of life, not just sports. Many times, young athletes are not able to fully express their feelings when they are starting to feel burned out in youth sports. Some children do not understand exactly what is happening or why they are suddenly struggling, but it could be something subconscious on his or her part. Other times, they know full well that they no longer care about the sport because they are feeling so burned out. They may be less successful than they were in the past or they could have inconsistent performances. They may no longer want to go to practice either. Some kids who are feeling burned out in sports can develop other symptoms of stress that might seem unrelated at first. For example, the child could have trouble sleeping or they may have loss of appetite. They may be slow to recover from injuries, or they could have frequent illnesses. Parents may also notice increased moodiness or irritability, as well as depression, anger, and trouble concentrating. Children also have more to worry about than just mental burnout. It is quite possible for children to injure themselves very seriously while training. According to Dr. Elizabeth Szalay, a once pediatric orthopedic surgeon, it is possible for children to damage their growth plate. Children have immature bones and growth plates, which are made from cartilage cells at the ends of the long bones. Those cells are more susceptible to injury than immature bones, which puts children at a higher risk. Most of the time, in girls, the growth plates will close from between 14 and 16 years old. In boys, they will close between 16 and 18 years old. Damage to the growth plate can have serious implications for the future. It could even mean that one limb ends up crooked or shorter than the other limb. The pediatric musculoskeletal system is unable to train the same way that an adult’s can. Kids cannot endure the same type of training as adults, and they should not be expected to. One of the reasons that children often push themselves too much without realizing it is that they have the cardiovascular endurance and energy to push themselves. They have no trouble with their energy output; they may even have the muscular strength. They simply have trouble because the bones cannot handle the stress that is being put upon them. As long as children are not overtraining, and they are being safe, there is no reason that children should not be able to play sports. The danger comes when they begin pushing themselves harder than they should and when adults do not step in to keep the child from injuring him or herself. If you have a child who expresses that he or she feels too tired or burned out, and does not want to go to practice or training, listen to them.